Next week my eldest child, the beloved Fashionista, will celebrate a milestone birthday. As many longtime readers know I am all about heartfelt, handcrafted gifts to mark special occasions. My sweet daughter has recently started a new job in Nashville and was searching for a few dresses to wear to her fashionable workplace. She discovered that most dresses today are either poorly made or cost well beyond what her millennial pocketbook could afford. So I decided that the perfect gift for her would be a few Happy Spring Dresses. Last week I mentioned that I had struck gold at a recent estate sale and brought home yards of vintage fabric and several vintage patterns. It was as if the universe was agreeing that a few new frocks would indeed be the perfect gift! It also fits with my goal made last August to create several circa 1968 dresses. 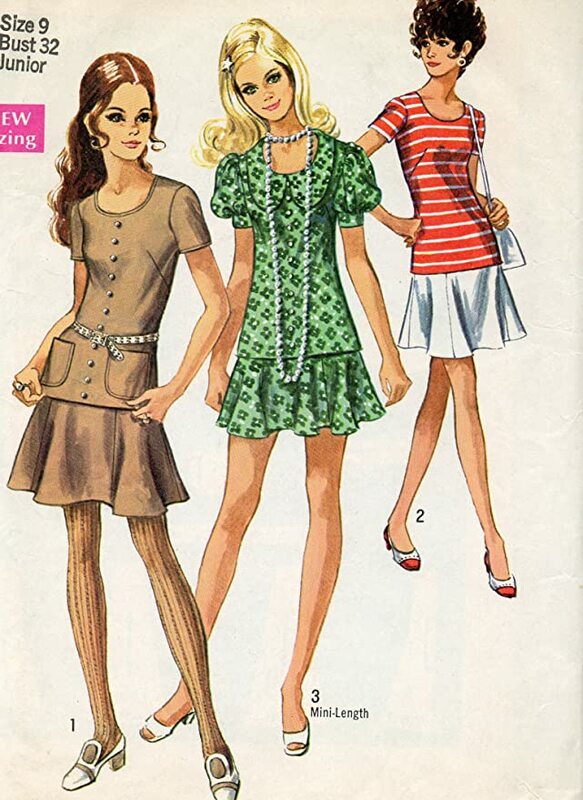 The first gem was a Simplicity pattern 8780. View 3. It was love at first sight when my girl spied this vintage fabric. We agreed that it would pair well with the pattern design. I just had to overcome my fear and loathing of installing zippers aka slide fasteners. Both the blouse and skirt each had one. I shared the construction process on my Instagram stories and everyone chuckled at the “world’s largest Peter Pan collar”. You’ll soon see that just like Anne Shirley (Anne of Green Gables) I have a thing for “puffed sleeves”. I really didn’t encounter any difficulties in sewing this pattern. All of the dresses shown in this post have either French seams or are bound in vintage cotton bias tape. I also used vintage metal zippers as I find they hold up better. 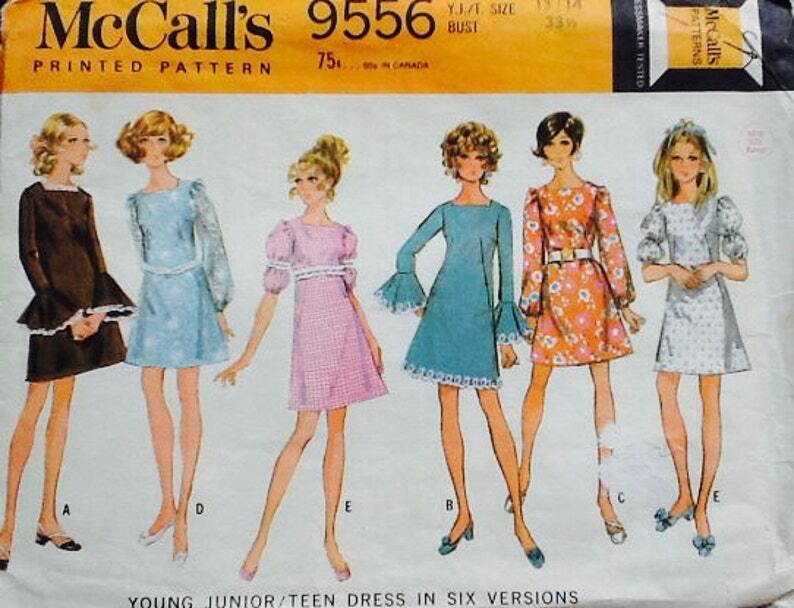 The next dress was made from McCall’s pattern 9556, view “E”. The cheery golden gingham fabric was purchased at Golden D’or in the Dallas Fabric District for $3.00 a yard. Rapunzel, Rapunzel, let down your fabulous sleeves. The eyelet trim and ribbon came from Hobby Lobby during a 50% off ribbon sale. My zipper game is getting stronger. It lies a bit wonky right at the top but luckily the Fashionista has long hair. This pattern is great even for a beginner. I started with Dress 1. This is where I have to admit that I LOVED the vintage aqua strawberry fabric and selfishly wanted to make something for myself out of it. But it is probably better suited for a younger woman. This dress was a dream to sew. Again, a perfect pattern for a beginner. Such simple, but sweet sleeves. I was actually pretty pleased with this zipper installation. Mom was right. Practice does make perfect. I think sheath dresses are so classic and chic for the spring/summer. Out of all the dresses, this appears to look the simplest. Looks are deceiving. I fought with this piece of fabric to the bitter end. The back view is my favorite. There is just something so happy about red buttons on a white dress. The red organdy trim came from my mom Nadine’s sewing stash years ago. So let’s talk about the price of these dresses for a moment. The most expensive dress out of the four shown here is the yellow gingham. It required 1 1/2 yards of fabric ($4.50), 3/4 of a yard of elastic, eyelet ribbon ($3) and the pattern ($1). I used half a spool of thread so let’s make it an even NINE DOLLARS. The black dress, strawberry dress, and white pinafore were all basically FREEEEEE!!! I brought home more fabric from the estate sale than I could ever possibly sew up in the next 10 years. Once I was home I discovered that a few of the fabrics I had selected were almost duplicates of each other. So I sold them on a vintage fabric group that I belong to on FB. This, in turn, covered my initial outlay of estate sale purchases. Washing and ironing the fabric, cutting out the pattern and sewing the four dresses took me about 5 days (40 hours). I am a bit of a slow sewer given that I am quite particular about straight seams, etc. Thankfully Mr. Decor likes frozen lasagne. So yeah, if you factor in my time, then each dress would cost $200. But sewing for my best girl is truly PRICELESS. You are so talented and you always come up with the most beautiful outfits. These are all adorable! Will we get to see them on a live model? Hope so! The Blue Flowered print… my mom made me a dress out similar material, if not the same. Plus, I made a pinafore and wore it like an apron (what was I thinking?). This post is a walk down memory lane. You scored big time with all that material and so did the Fashionista! These are all fabulous! I am in awe of your talents. The blue dress with the strawberries-I used that pattern for my home economics class in 8th grade!! I am now 60. What a trip down memory lane! I remember having a bit of difficulty with the zipper back then. 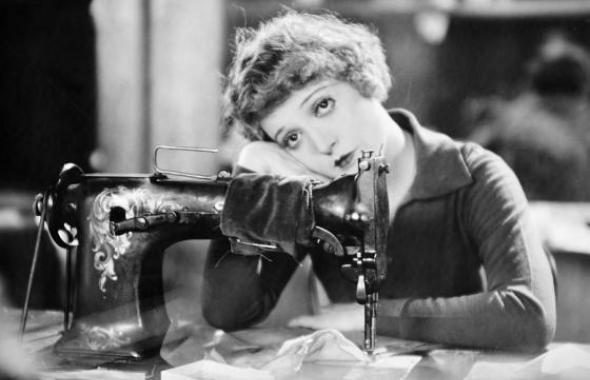 And to this day I’m not not much of a seamstress! Question: does the vintage fabric hold up well? No dry rotting.? Julia, I always put all vintage fabric I find into the washing machine set on a long wash. I then generally throw it in the dryer. If it survives and looks good then I will proceed to iron it. After all that only then will I invest the time to cut out a pattern and sew away. Honestly, fabric made in yesteryear is SO much better constructed than what we have today. I love that these styles are coming back in again – and yours are wonderful! We had the first and third patterns – I had several outfits from the first pattern made out of the old double knit fabric. My mom loved sewing with it because it would withstand a nuclear blast 🙂 I begged for a pinafore dress in red gingham (the big one inch checks), but I wanted it floor length. My mom granted my wish and made it for me – I think I wore that thing out. Thank you for bringing back such fond memories ! Such darling dresses for your sweet daughter. What a wonderful gift of love. Happy Birthday to the Fashionista! I LOVE your dresses. 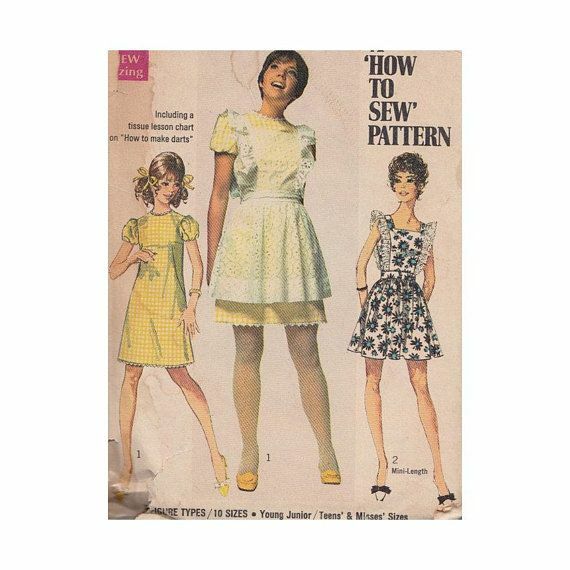 That second pattern I used back in the 70s and actually used it as a maternity dress for the early stages of pregnancy. Wowzers! How great that fabric was for these patterns. How nice to have the talent to sew these fun dresses! These are so fabulous! They remind me of childhood dresses my mother made for me…puffed sleeves, yes please! My mother made me at least one outfit with that first pattern. Fun memory! Oh my goodness, Laura, those are all adorable and so professionally made!!! You’re truly amazing! I laughed because I would totally wear the fabric/styles and I’m 54. Your daughter is going to be so pleased and I can’t wait to see her modeling some of them in her feed. I love every. single. thing. about this post! The patterns, the fabric, the love. I have the warm fuzzies! I aim to make myself some dresses and skirts for this year, and I think this post was just what I needed to see right now. You sew so beautifully!